Motorcycle riders are no exception to enjoying the ease that has come with modern technology. From ordering parts from the comfort of your bedroom to getting motorcycle insurance quote online, everything is nice and easy. If you research for motorcycle insurance online, almost every other company has a tool that provides you the desired quote online. Some might even claim that it is a 2-minute process but that’s not the case on most occasions. You know that a physical inspection will always beat text-only information when it comes to giving a quote. Therefore, expect many questions, and provide accurate answers. It might seem odd to you when an insurance company asks for your physical address only to give you a quick motorcycle insurance quote. The company can have many reasons for asking your physical address. They can say that they need your address to check if their services are available in your area. However, the most obvious reason is that the company wants to know the type of area you are living in. A person located in an urban area will always be more prone to accidents than one who lives in a quiet and less populated town. Therefore, the first thing you will have to provide is your zip code and complete physical address. VIN is vehicle identification number and makes the job much easy for the insurance carriers. They can know your vehicle’s make, model, and other important details with just the VIN. In fact, the VIN of your vehicle gives many details about its history as well. You can say that the company wants to use it to verify the authenticity of the information you provide them. If you don’t have the VIN for some reason, you will have to provide information about the year, make, and model of your vehicle manually. When you are looking for motorcycle insurance online, these are the most primary pieces of information that the company needs from you. The year and model can tell the insurance company if it is a new, old or an antique. After conforming the make and model of your vehicle, the company needs to know how you use it and what safety measures you have in place. These features can include anything from wheel locks to locking motorcycle cover and audible alarms. 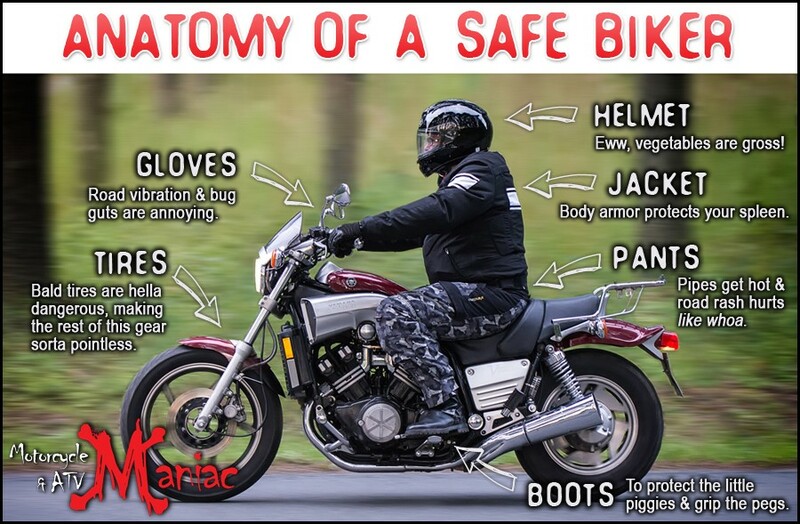 If you are protecting your motorcycle against thefts, your preparedness to avoid the event matters a lot. The more advanced your security features are the more affordable your insurance will be. Of course, whether you own the vehicle or have it financed also affects your insurance rates. Generally, you will HAVE TO buy the comprehensive insurance for a financed motorcycle. It is the insurance company’s way of recovering as much loaned money from you as possible in the shortest amount of time. In short, your coverage will be quite expensive. 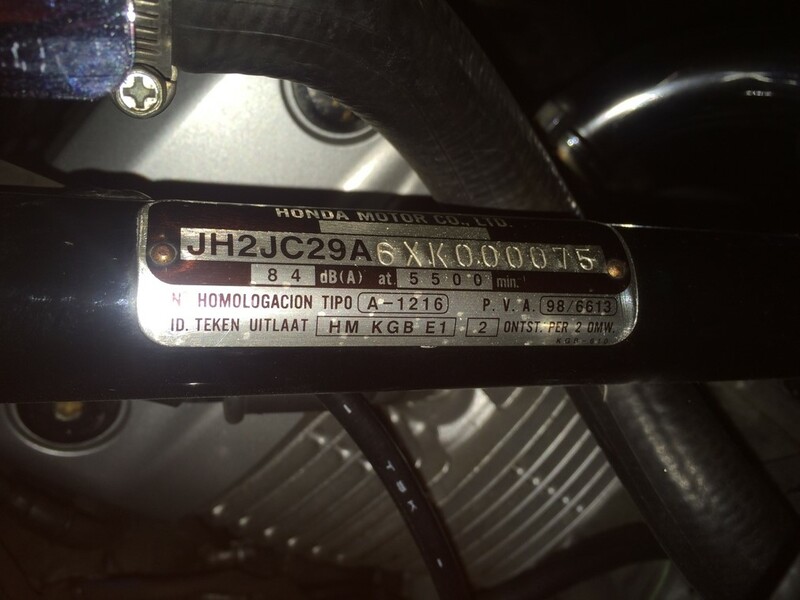 This part is the most important one in deciding your insurance rates after the condition and type of your motorcycle. You will have to enter your marital status because your marriage makes you act more responsibly. 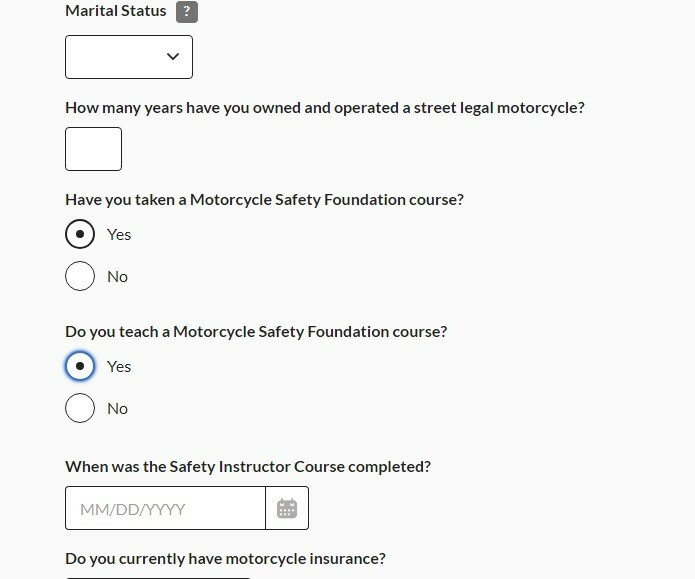 If you have completed any motorcycle safety courses, it will affect your motorcycle insurance quote online. However, it also matters when you completed the course. If you have recently completed the safety course, you will see more lenience in your insurance quote. At this point, you might also have to inform the company about your existing insurance coverage. For someone looking to buy motorcycle insurance online, his or her existing insurance status can be a great way to lower his or her quote amount. If you have never made any claims on your existing insurance, it is a point in your favor. 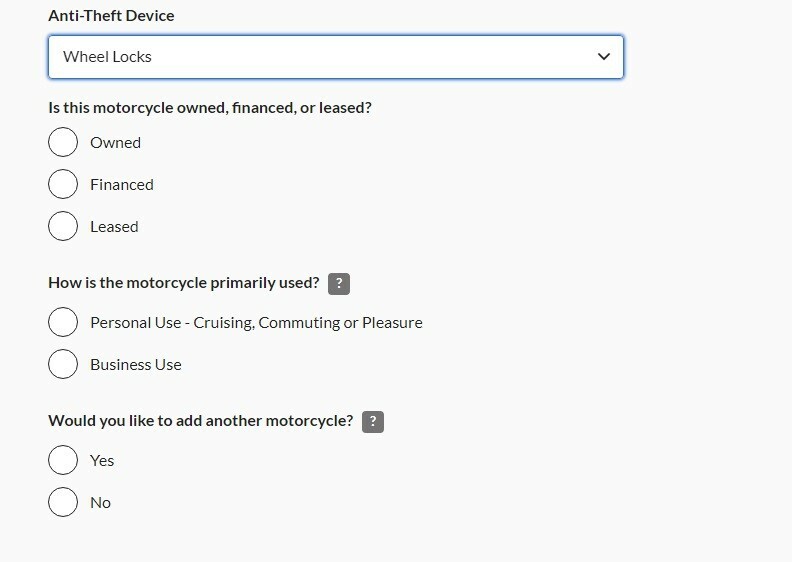 After knowing your personal details, the company wants to know you as a rider. At this point, they will ask for details about any incidents in the past. You will have to provide this information accurately. If the insurance company discovers any conflicts in the information you provide verbally and online, they can reject your application. Keep in mind that completing a defensive driving course in some states can help you remove incidents from your driving records. For example, if you are a Texas resident and completing a defensive driving course has removed certain incidents form your record, do not fill them out in the online form. Of course, the cleaner your driving record the more affordable the insurance will be for you. After this point, the company will provide you with a quote. However, they will still encourage you to meet them in person for a physical inspection of your motorcycle for more accurate insurance quotes. Here are a few pointers before you apply for motorcycle insurance online. 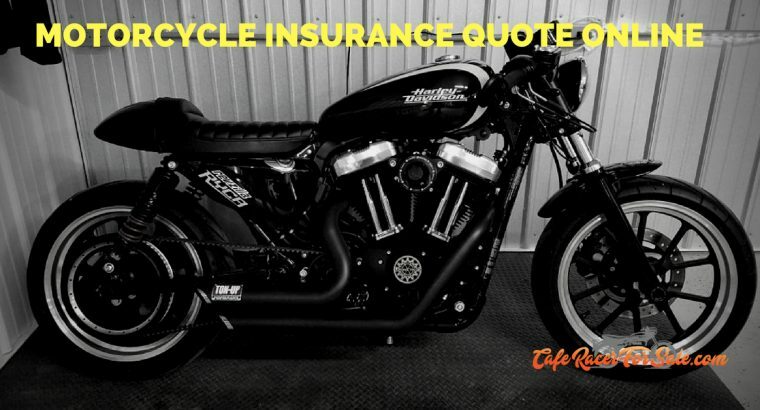 Insurance for custom motorcycles is expensive than it is for mass-produced and regular motorcycles. You can cover your installed parts separately with insurance policies that are available with some insurance companies. Bundling your insurance policies with the same insurance company can reduce your insurances rates by up to 10%. Never buy insurance policies that you don’t need. If you can cover your property damages, the liability insurance policy that covers third party’s damages should be enough for you. Sport bikes can have the most expensive insurance rates. Insuring a financed motorcycle usually means you will have to buy comprehensive coverage too. The additional expenses do go away once you have paid your motorcycle in full. It is best that you completely any safety and defensive driving courses before you apply for motorcycle insurance online. Furthermore, be as detailed as possible with the information you provide to get the most accurate motorcycle insurance quote online. One of the things that most riders can often forget to mention is if other family members will be riding the motorcycle. Keep in mind that it can become nearly impossible to claim your insurance if your motorcycle is involved in an accident but it was your spouse driving it. If you don’t mention your spouse on the form, your online quote will not be accurate and your insurance claim will be in jeopardy.